My family comprises of my parents and two siblings - my elder sister and my younger sister. I am the only son and brother in this family. My father, Mr. Awang Marusin, originated from Kota Kinabalu, Sabah, is a certified Assistant Medical Officer at Outpatient Department of Tuaran Hospital. He was a graduate of Ministry of Health Medical Assistant's College in Seremban, Negeri Sembilan. My mother, Mdm. Nor Hashimah, originated from Kuala Pilah, Negeri Sembilan, is a housewife. A long time ago, she was a manufacturing operator at Naito Industries Sdn. Bhd. in Seremban. Before that, she attended National Stenography Institute in Seremban, Negeri Sembilan. My elder sister, Dayang Nur Qawira, is a special education teacher at Sekolah Kebangsaan Sembirai, Kota Belud, since July 2016. A year before, she graduated from Malaysian Teacher Training Institute with a Bachelor of Teaching (Special Education), with specialisation in hearing problem. My younger sister, Dayang Nur Nashrah, attends Bachelor in Islamic Revealed Knowledge and Heritage (IRK) Programme (with specialisation in Quran and Sunnah Studies) at the International Islamic University Malaysia (IIUM) since September 2017. Prior to attending Foundation in IRK Programme at IIUM from June 2016 to May 2017, she attended Sekolah Menengah Kebangsaan Agama Keningau. 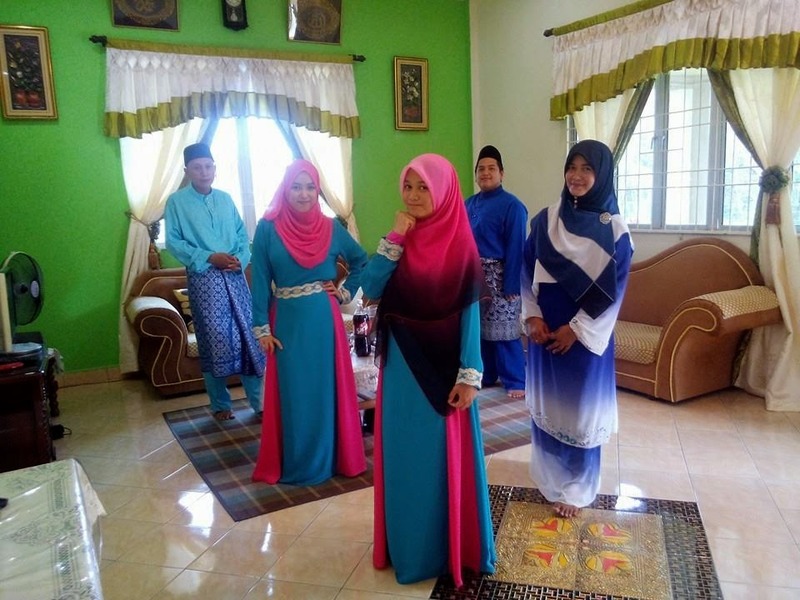 This family settled themselves in a rental house at Sembulan, Kota Kinabalu for years prior to moving to a staff quarters at Tuaran Hospital in 1994. Since 2012, this family resides at Kampung Dungun Timbok, Tuaran.